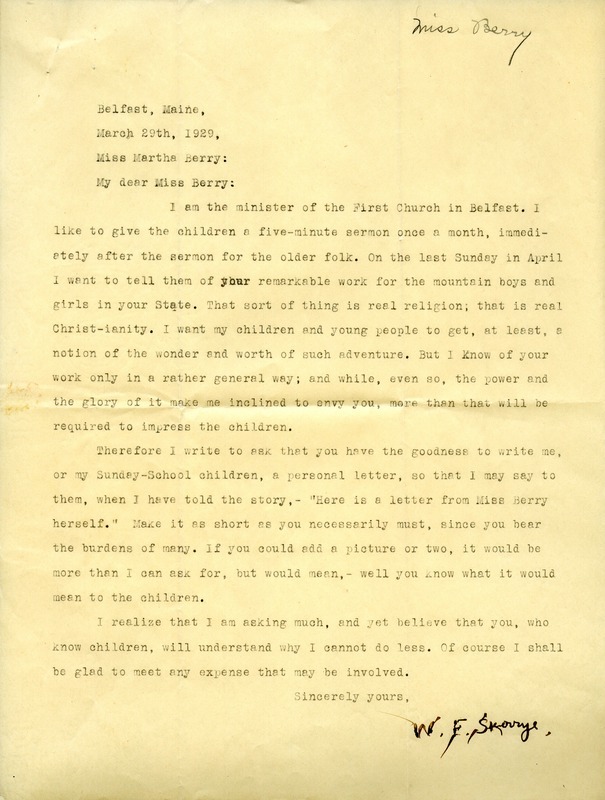 Reverend Skerrye asks Miss Berry to write a personal letter to his Sunday School children that they might understand the great work the Berry Schools are doing. Rev. W. F. Skerrye, “Letter to Martha Berry from Rev. W. F. Skerrye.” Martha Berry Digital Archive. Eds. Schlitz, Stephanie A., Chelsea Risley, et al. Mount Berry: Berry College, 2012. accessed April 22, 2019, https://mbda.berry.edu/items/show/10992.